The next special 'event' over at e-Capcom is a Heroes Festival, starring Ieyasu and Keiji. They've joined forces for more special deals, and the event coincides with several new merchandise listings in the shop. These items should start appearing at regular hobby shops soon. The first few items all come out on 25th September 2014. 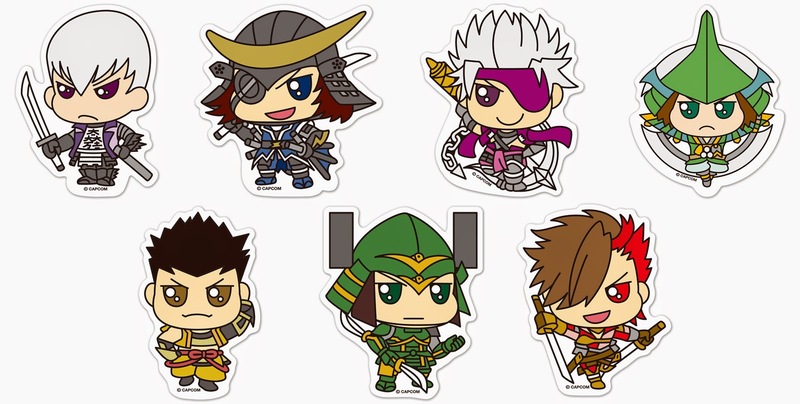 A collection of seven Sengoku Basara 4 acrylic key holders in the same style as the recent rubber mascots. They cost ¥600 each before tax. The character selection is strange. If you already have enough key holders, you can choose from the same range of illustrations as die cut stickers instead. Each costs ¥400. Two sets of IC card stickers, each costing ¥800. This is the 'second costume' set. While this one is the 'special costume' set. A new range of four collectible makie decorative stickers, designed to be applied to cellphones. Each costs ¥500. I love them. 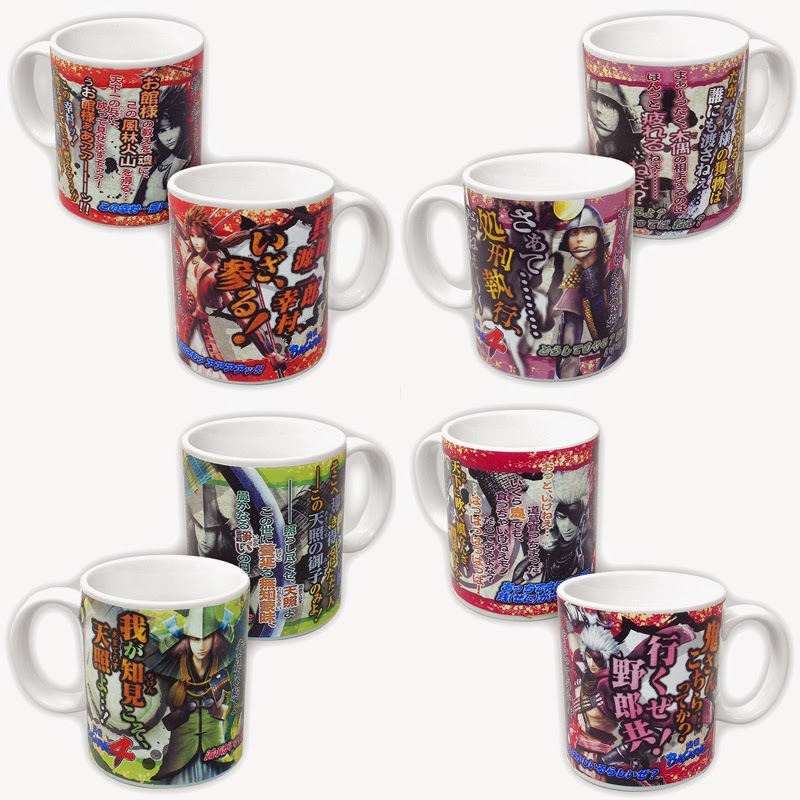 The second batch of Sengoku Basara 4 dialogue mugs to go with the first four designs. 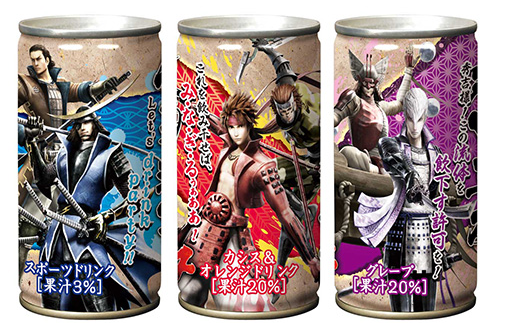 Fans can choose from Yukimura, Matabee, Motochika or Motonari this time and each costs ¥1,200. 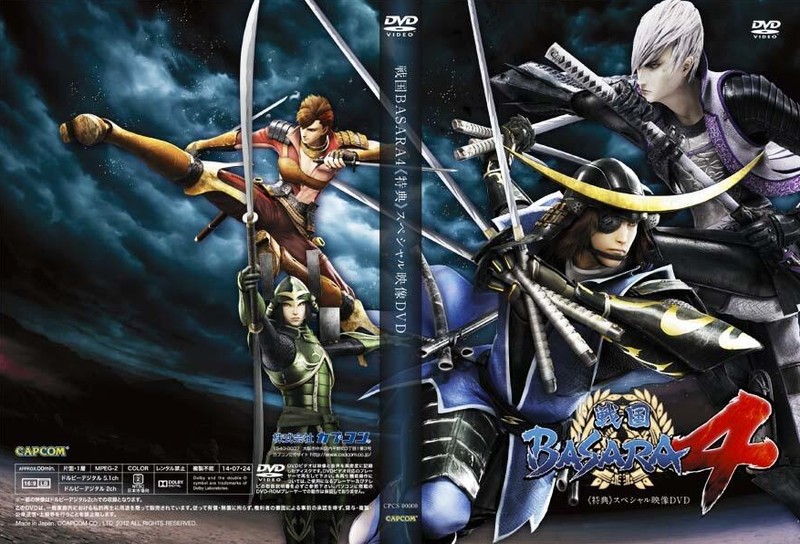 The Sengoku Basara 4: Bushou Clear File Collection vol. 2 includes sixteen different designs in a box priced at ¥3,200. The box is expensive and I don't really need any more clear files but they look so good! Japanese shops will be selling the individual files randomly packed in blind envelopes for fans who would prefer not to get a full box. 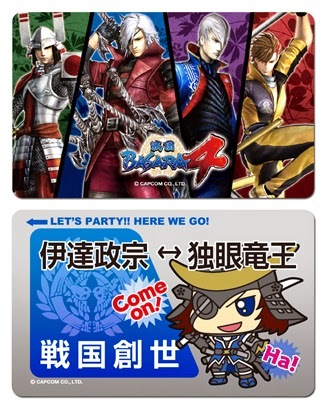 The Sengoku Basara 4: Bushou Pins Collection is a box of ten collectible pins priced at ¥5,400. Again, buyers in Japan can buy them individually in blind boxes. The next two products will be released a little earlier than the others on 28th August 2014. 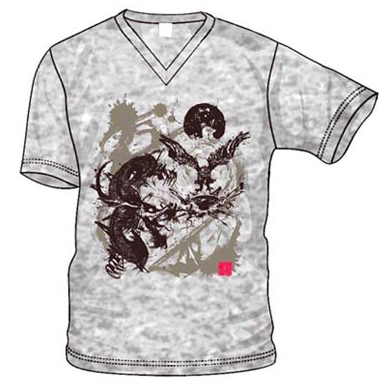 A Sengoku Basara 4: Giga Basara t-shirt available in S, M, L and XL sizes for ¥2,850. 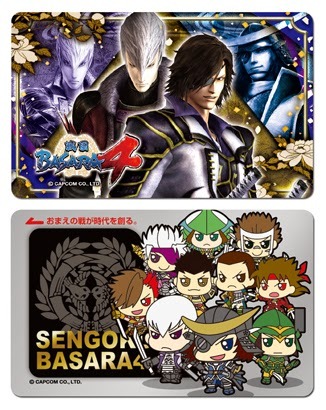 Four different Sengoku Basara 4 tenugui towels costing ¥1,200 each. 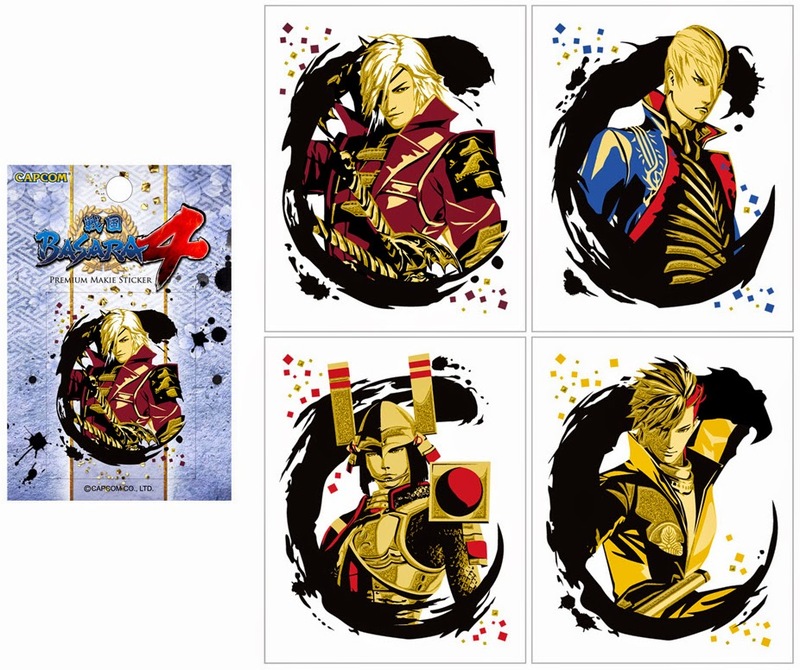 Separately, Movic's listing for their upcoming ¥350 Sengoku Basara Judge End clear file has now updated to show the design as well. 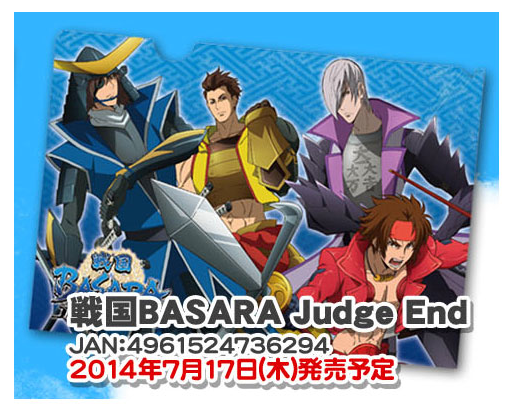 I'm not too sure about the picture's composition; isn't Ieyasu a little too small? Maybe it looks less confusing without the blue background and text. While there isn't much new content in the video itself, the brief footage from the set's bonus DVD is interesting. My Capcom released a sample image showing how the DVD sleeve will look. They'll be available at a variety of stores from this Saturday. The flavours are Date army (sports drink), Takeda army (black currant/orange) and Toyotomi army (grape). I'm not very fond of my japanese but this mean it will air today on midnight isn't it ? Yep! I've posted the timings here here if you want to judge when we're likely to see spoilers and other information appearing.